As many of you know I can become a bit overly focused when it comes to designing jewelry....and a tiny bit obsessed. 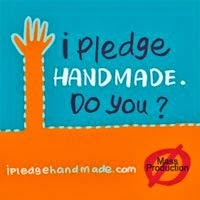 Over the weekend I have been working on my designs and have them nearly finished. However it is both a good and bad thing that the BSBP reveal isn't until May 3rd (I think I read that someplace). 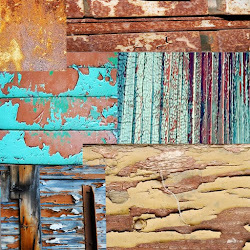 The good thing is that I have time to change my mind and redo my piece a hundred times before the reveal. The bad thing is that I am like a child at Christmas wanting to open, in this case reveal, my design before it's time. The other thing is that I am afraid I will forget what day it is and miss the blog party reveal...."panic!" I am going to share with you snipits of my BSBP designs. 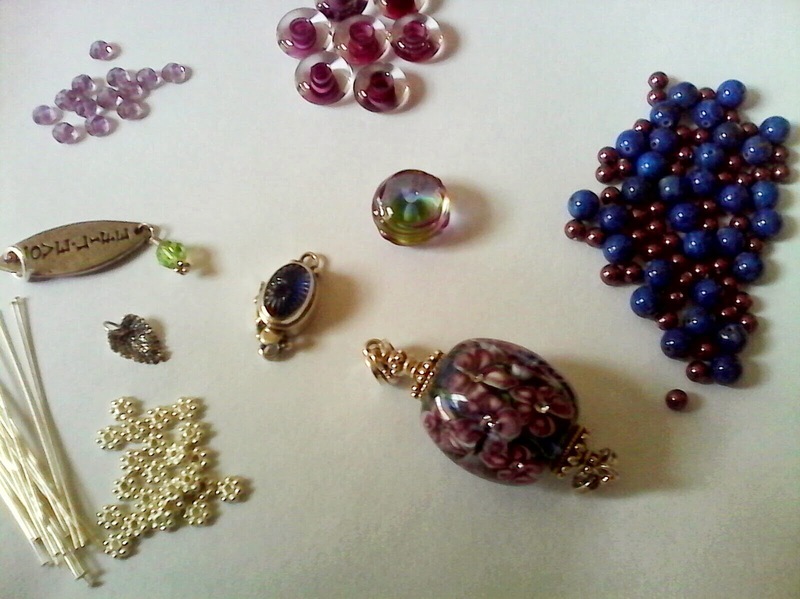 So far I have made four pieces out of the lovely mix Jean sent and a few of my own. 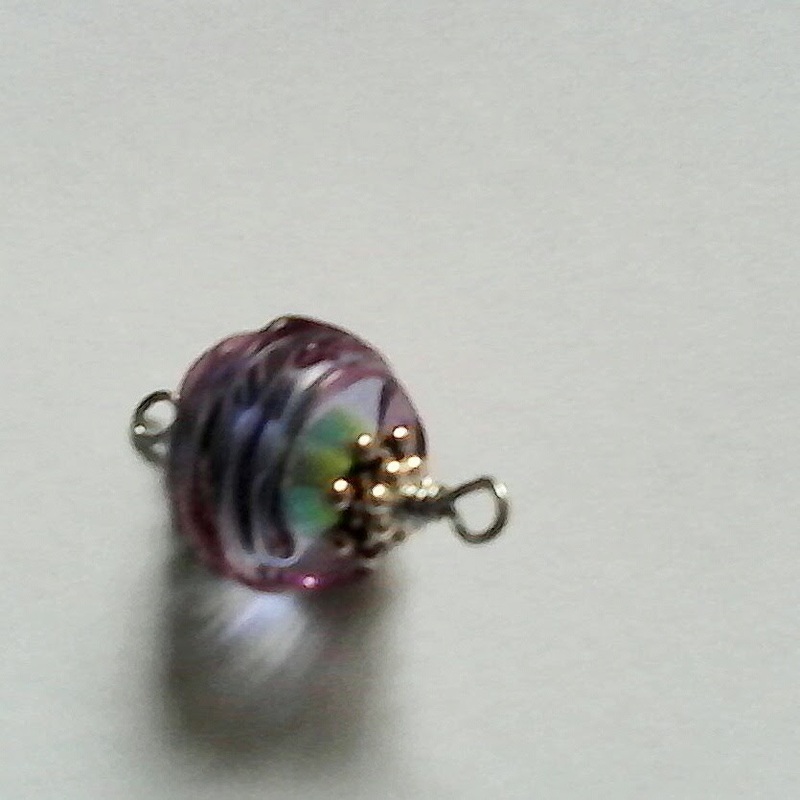 below are little windows of the beads I have put together. I will not tell you which piece they came from.. The Beads Have Arrived and They are AWESOME! 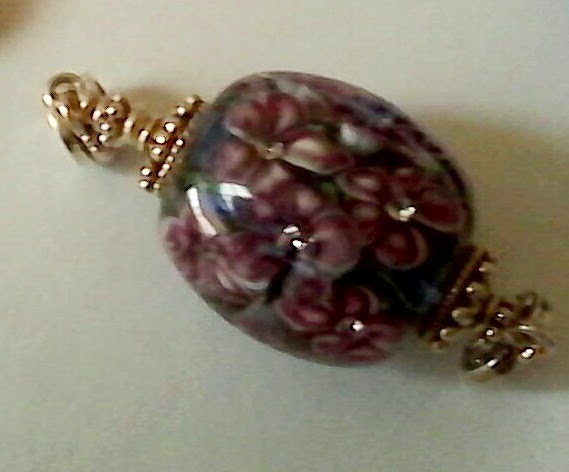 Yesterday, I received my bead soup mix and I LOVE IT! - I can't stop looking at them..... They are some of the most beautiful beads I have ever seen. 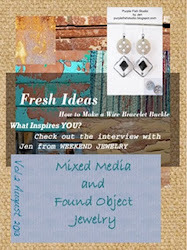 The beads Jean selected for me are elegant and sophisticated, especially the focal made by Kim Miles. The layers and details of the purple flowers are stunning. The beads are the kind you put on your wish list and daydream about. They remind me of a beautiful summer day. Thank you Jean, your eye for beauty is impeccable. I started working on sketches and layouts of what I want to create. 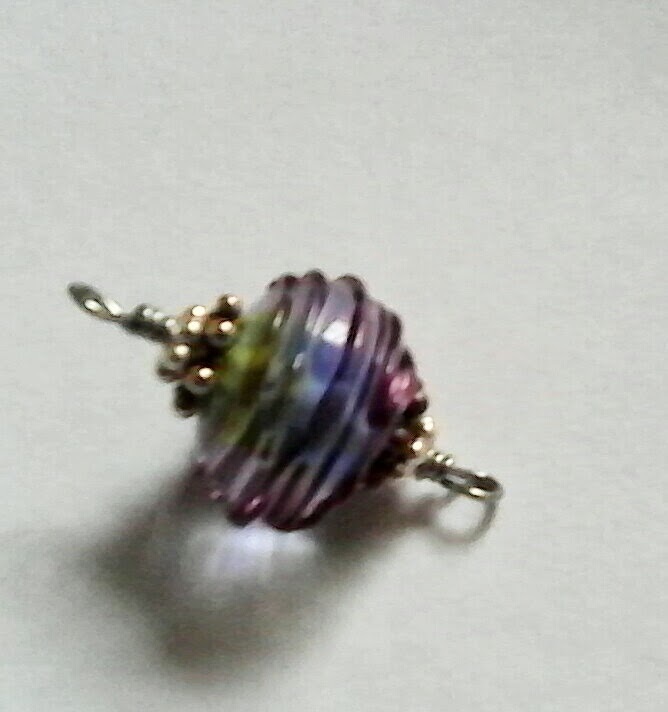 So far, I have put together one of the beads and I will show you the before and after. 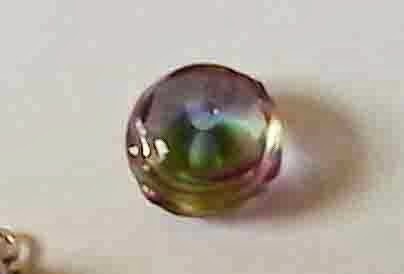 This bead has beautiful ridges of plum and lavender wrapped around a translucent center of soft summer blue and green. 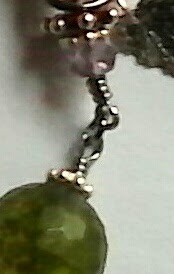 I have added two sterling silver bead spacers to each end. 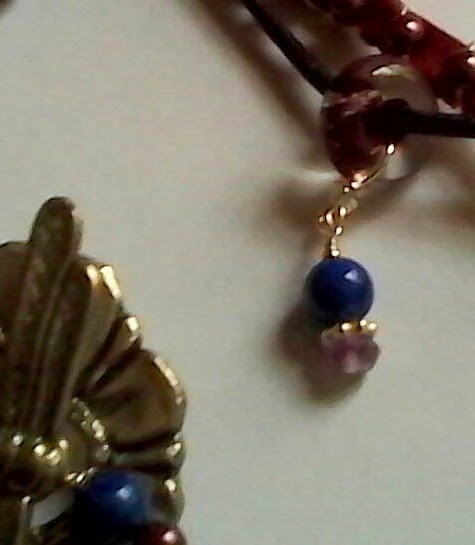 I will post more before and after of the beads as I begin working on them. I hope you are inspired to create something beautiful. 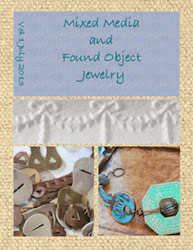 8th Annual Bead Soup Blog Party - My Partner! Yesterday we received the names of our Bead Soup Blog Party partners. I cannot believe how fortunate I am to be paired up with the fabulous famous Jean Yates. She is so together, she e-mailed me before I even knew the partner list had been posted. She is energetic and has a contageous online personality that makes me smile. I hope I can keep up with her. :-). She has a great sense of design and I am really looking forward to working with her and developing a friendship. Besides creating beautiful works of jewlry art, she is also an accomplished author having written for Bead Style AND written a book named Links which can be purchased on Amazon! Amazon gives you a sneak peak inside the book and Jean's pieces are gorgeous. Jean has an Etsy site called theoriginaljeanyates. I have to admit I am a little intimidated by her experience, knowledge, and her beautiful jewelry. I look forward to sharing our adventure with you. I would also like to thank Lori Anderson of prettythingsblog.com and all of her hard work and dedication to this event. She is awesome.